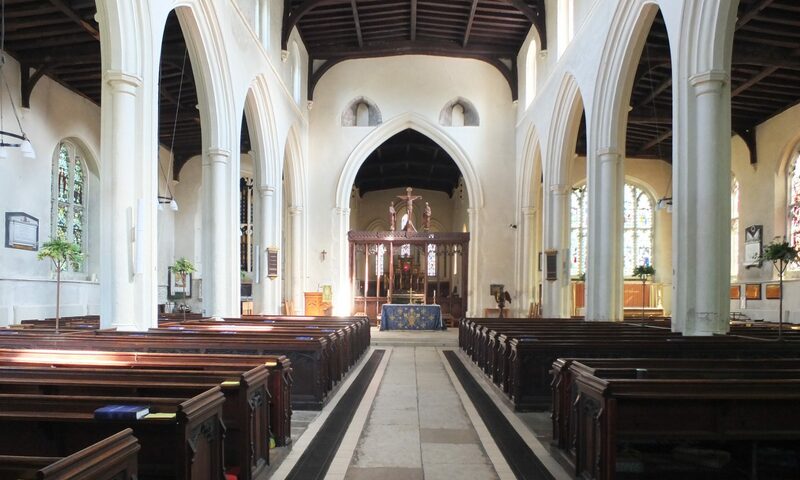 A warm welcome awaits you at the Parish Church of St Mary the Virgin, an active church at the heart of the small, attractive town of Godmanchester in Cambridgeshire, separated from its larger neighbour, Huntingdon, by the Great Ouse river. We are a United Benefice with St Mary Magdalene, Hilton (about 4 miles to the South East), in the Deanery of Huntingdon. Our patrons are the Dean and Chapter of Westminster Abbey. We seek to be an inclusive church, with a pattern of regular services in a variety of styles, from Sung Eucharist to Parish Praise and Book of Common Prayer Evensong. Please feel free to read about us on this website, or, better still (if you are able), to join us at any of the services listed. “We believe that the Parish Church of St Mary the Virgin, Godmanchester, exists to build up the individual and corporate spiritual life of our Church and to spread the love of Christ through word and deed, by enabling those who live and work within our town to come into contact with God’s love and come to faith in Christ”.